Wednesday 3rd September 2014, 6:30 pm. Given the current economic challenges and competitive threats from emerging markets such as China and India is there are better way to run an organisation (private or public sector), one that leads to better service, faster delivery, better morale, a greater competitive advantage and all at lower costs? Stuart Corrigan, Managing Director of Vanguard in Scotland, is here to tell us that there is. Systems thinking a methodology adopted by organisations such as Aviva, O2, VELUX and Lloyds bank is, according to Stuart, a better way to run a business. In this short talk he’ll give us insight into why organisations are failing and what leaders need to do differently (absolutely no fluffy stuff) to deliver better outputs for Customers, Shareholders and Staff. And Stuart will also show us how, if you’re in the IT sector, you can design better outcomes to add more value for your client and get more authority in your role. What’s wrong with management thinking and what managers need to do differently if they want their organisations to perform better. Where to start when you want to change a business. Why what you’re measuring as a manager is leaving you blind to potential failures and giving little insights in what to change in your business. The two types of measures you’ll need so that you can pin-point exactly what’s going wrong and what to do differently. How to study an organisation so that you can tell the client what IT they need rather than the other way round. 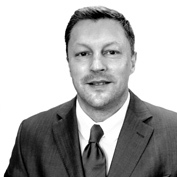 Stuart Corrigan is a veteran of Vanguard, having been with them for 15 years as their managing director in Scotland. He has consulted all over the world for organisations such as E.on, VELUX, Aon, Lloyds Bank, The Cooperative Bank as well as working locally for many of Scotland’s local authorities, the court service, the Scottish Police Service and many housing associations within Scotland. Stuart has a degree in Psychology and an MBA from Cardiff Business School - the UK home of the Lean Methodology. And in an effort to widen his knowledge of different improvement methods Stuart has partnered on projects with Goldratt consulting (theory of constraints) and spent time studying and working alongside ex Toyota Consultants within Mercedes in Germany. He is currently studying for his third degree, in English. He is married to Denise, and has two sons, Daniel and Matthew, and lives on the site of an old railway station in Lamancha. He admits to being at the bottom of the pecking order in his home after the kids, the horses, the dog and the cat – though the recent passing of the goldfish meant he went up a place! Stuart writes a popular management blog and has a book published on organisational change and performance management.